My first Seamwork Natural Beauty column! 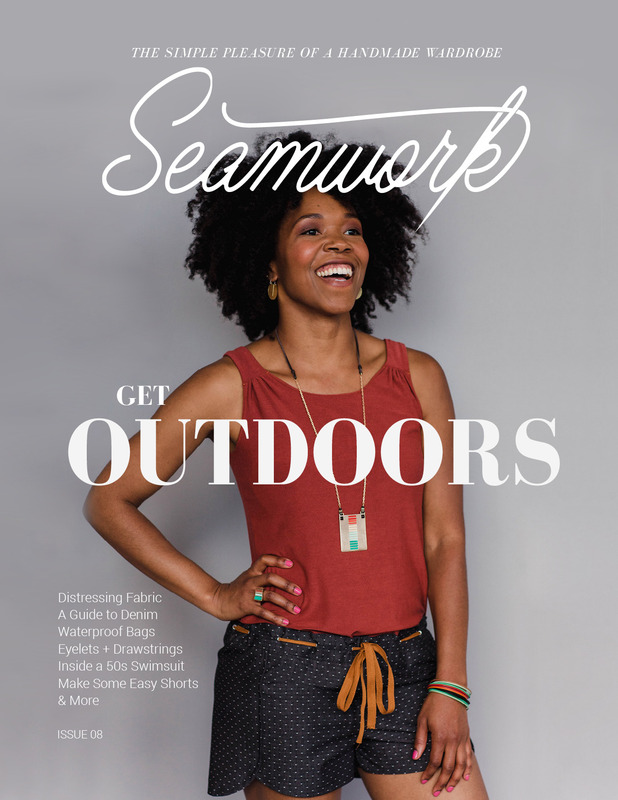 I am so excited to be writing for Seamwork Magazine! It’s an online sewing magazine published by one of my favourite independent sewing pattern companies, Colette Patterns. Colette was founded by Sarai Mitnick, a former UX designer at Google. Sarai and her team are doing incredible work with online sewing spaces — their sites are always beautifully designed and so easy to use. Plus, they were really nice to work with! My contribution to the July 2015 issue is an almond oil cold cream. In the last few years, several high-end skincare companies have come out with balm cleansers. While I’m sure these are all lovely to use, a $30-$70 cleanser isn’t necessary. You can make your own rich, moisturizing cleanser at home for about $10. I’ve been using mine regularly, and it works well on my oily skin. I have a few more Seamworks columns coming up … I’m so pleased to be working with a company I’ve admired for years. My next goal is to pitch a sewing tutorial to them. Of course, their standards of expertise are very high, and they have a deep talent pool to draw from, so I want to make sure my pitch is very good.